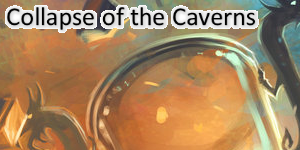 Poll: Is this a good change? Reality: Hunter's mark to 2 mana. Gratz, you predicted it. The spellstone also got hit, but in all honesty I never thought the devs would touch Hunter's Mark again. When you consider that Hunter's Mark is basically Execute, this nerf makes a lot of sense. Both require something to damage the minion. I can't believe this was at 0 mana for the longest time. LOL I was going to highlight that too. What were the odds? Either they had to do this or do something to candleshot, Removing anything for 2 mana with and you still get to keep the immune weapon was beyond stupid. A start at bringing hunter in line. they finally figured out that reducing Health to 1 is one of the most efficient removal set ups in the game. This also indirectly nerfs Baited Arrow, which is pretty relevant for Spell Hunter actually. Will still see play in any deck that wants targetted removal. I mean, we have a bunch of enablers for 1-mana, and I don't see why a 3-mana 2 card removal shouldn't see play, given that it is still very flexible and more reliable than Deadly Shot. I guess this is one of those nerfs based on data that only the devs have access to. Never saw anyone else even considering it. 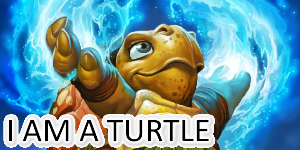 Okay change - it's still playable at 2 mana and like others have said it roughly lines it up with Execute. Also slows down Midrange Hunter just a little bit which is okay by me. Seems legit. Even better if your Geist never ever shows up in time of need. Well, it's a strictly proactive Execute. 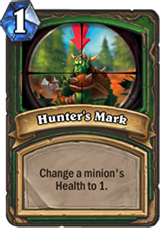 You need to damage the minion with Hunters Mark compared to being able to play Execute on a minion that was already damaged by something. And it was 0 mana since Hunter had value problems before Rexxar so a two card combo to remove a minion is pretty costly. Honestly I'm pretty neutral about this change. I don't think it was needed, but at the same time feels fair. I also feel like Execute "weakly dominates" (for any game theory fans) a 2-mana Hunter's Mark due to the problem Candleshot/Springpaw have with cheap taunt minions like Stone Hill Defender or Tar Creeper blocking a big threat. I guess there's always Grievous Bite or, after rotation, Bomb Toss, but I doubt they'll be as popular as the whirlwind-type effects Warriors currently run. And then there's the previous damage scenario jwbrain mentioned. So I can see a bunch of scenarios where a 2-cost Hunter's Mark is the same as an Execute, but also a few where it's strictly worse...are there any situations where it's better than Execute after the nerf? 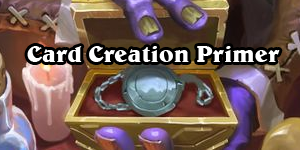 Big priest was never a problem until Lesser Diamond Spellstonegot printed, and this spellstone breaks way too many decks asides from big priest, basically compare it to gallery and you can see that spellstone should cost more than gallery, barnes isn't a problem in any other deck, spellstone tho, spellstone is a problem in many different priest decks both in standard and wild. Also Charge and Warsong Commander.